Success starts with the first step. 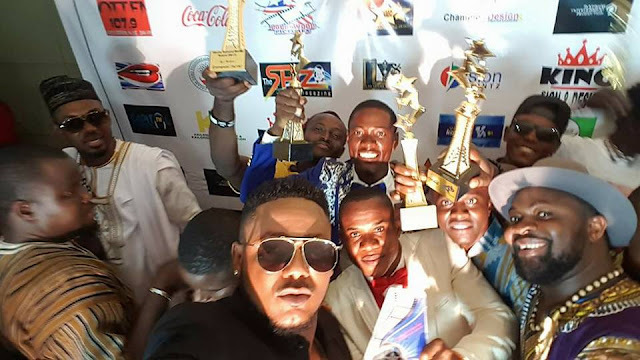 On February 11, 2017, Liberia National Movies Award (LNMA), hosted their first award show, at the Monrovia City Hall, Monrovia Liberia, West Africa. Names like, Van Vicker, Eddie Watson, Frank Artus, Munnah Pelham Youngblood, former senator Ballard, and many more, attended the event. Comedian Quincy T received the Lifetime Achievement award and DjBlue received Best Movie Supporter award. The CEO of LNMA, Dream Don Debo posted this on his Facebook page, "Thanks To God Almighty for the Liberia National movie awards. It's By Liberians in Liberia. We want to appreciate our Big three Van Vicker, Artus Frank and Eddie Watson ,they showed up Liberia needed them most. We also like to appreciate our sponsors, Liberia Coca-Cola bottling company (LCCBC), Kailondo group of companies Hott FM, Capital FM, vision Prints, Champion design and all of our media partners. We'll also like to say congratulations to all the winners of LNMA 2017.more updates coming soon #movingtrain."